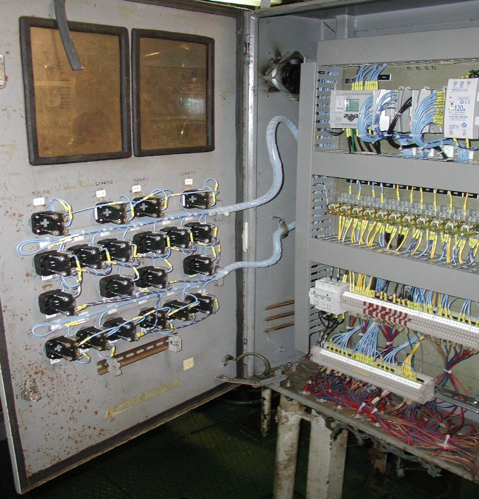 It is not everyday that a custom designed compressor control system is installed in a ship’s engine room. Most people think that industrial control systems only reside on factory floors and that PLC’s are only used to automatically control machines and communicate between ancillary plant equipment in the manufacture of a wide array of products. However, industrial control systems can also be found in many other applications besides those associated with manufacturing – even on the high seas. One summer a few years ago, Connell Industries received a very interesting call from a shipping company. 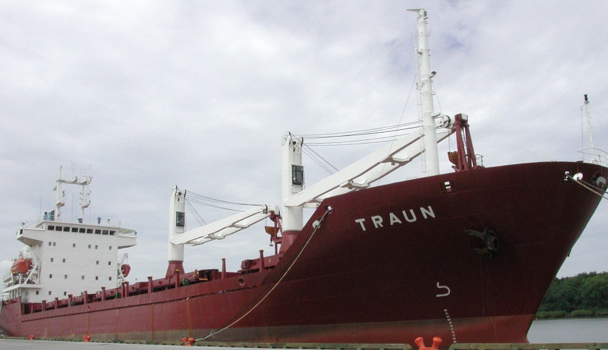 A Bulgarian freighter, the MV Traun, was sitting dead in the water in Savannah, GA due to failure of the ship’s air compressor control system. Because it was without air compressors, the ship could not turn over its massive diesel engines, nor could it steer, since compressed air was used to control the rudder. The shipping company was hemorrhaging $130,000 each day the MV Traun was idle, making the ship’s air compressor repair a top priority. Vincent DiGangi, the owner of Connell Industries, personally accepted this interesting challenge and flew down to Savannah to see if he could facilitate repair of the air compressor control system. He arrived at the dock and met with the ship’s captain and electrical engineer to get the details of what happened. Vincent then went down below decks to the engineering compartment to examine the situation. 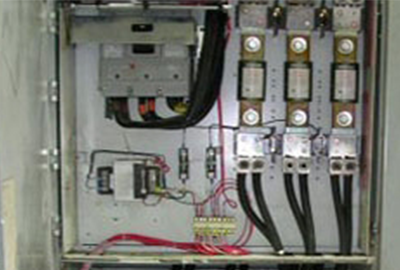 What he found was a big surprise – the air compressor control panel was stripped bare except for a few fuse holders, some relays and a power transformer on the back panel. This left Vincent little to work with. Fortunately, Vincent was able to get a set of drawings of the air compressor system. Unfortunately, they were all in Russian with very little English translation. The saving grace was that all the symbols used on the drawings were internationally recognized. After talking with the ship’s personnel, Vincent arranged to have the back of the panel and enclosure door shipped to Connell’s office in New Jersey. He then started laying out a new control design built solely from the Russian drawings and utilizing the intrinsic knowledge he had as to how high-pressure air compressor systems work. 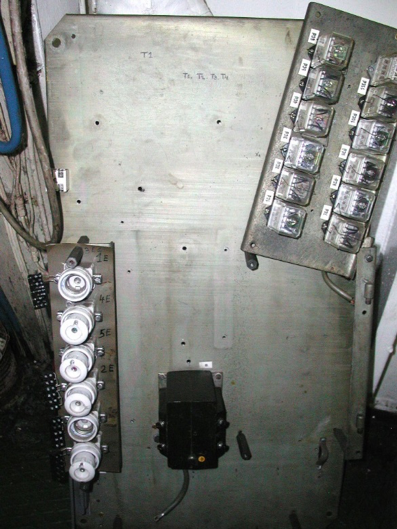 After a couple of weeks, Connell Industries had completely fabricated a new control panel and shipped it to Savannah. Connell then installed a temporary high temperature air discharge safety switch on Compressor #1. Tested the programmable controller wiring and communications configuration. Next, Vincent developed the control logic sequence from the documentation provided by the ship’s electrical engineer. Once the installation was complete, a meeting was held with the ship’s Captain and Chief Engineer to arrange for the insurance agent to audit the installation and to verify the system’s completeness and operational readiness. The audit was successful and new copies of the electrical system drawings were presented to the Captain. All in all, the whole installation and startup took only 5 days to complete and the MV Traun was certified to be seaworthy and was underway once again.